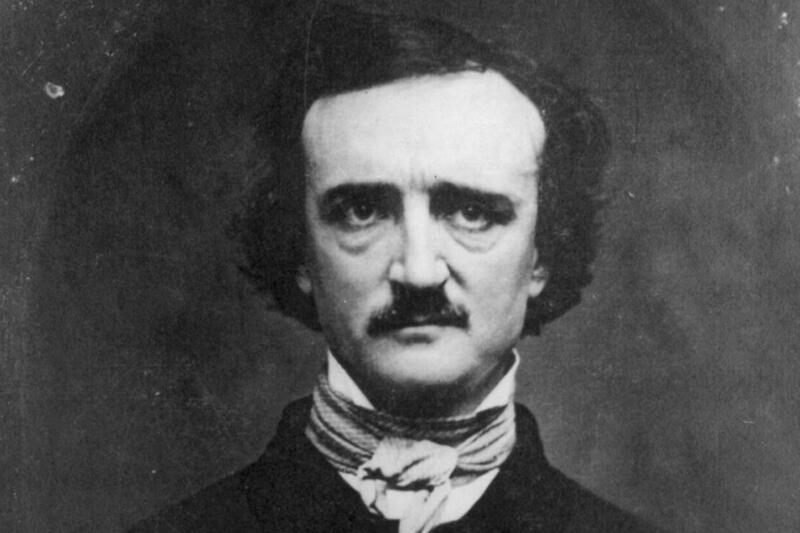 This week's featured Marylander is Edgar Allan Poe. Is there anyone who understands the dark side of human nature better than Edgar Allan Poe? Known for macabre classics like The Raven and The Fall of the House of Usher, Poe's influence on horror, detective, and science fiction genres are unparalleled. But did you know Edgar Allan Poe had significant connections to Baltimore? Despite considering Richmond, Virginia, his home, it was in Baltimore that his writing career took hold and cemented his reputation as a premier short story writer. Edgar Poe was born on January 19, 1809, in Boston, Massachusetts, to actor parents. Losing both to abandonment and death, he relocated to Richmond where he was cared for by John and Frances Allan. His relationship to John Allan was especially contentious, and it was common for Poe to flee to Baltimore during times they got into arguments. He would even claim Baltimore as his place of birth, instead of Boston, when asked. It is believed that Poe started writing short stories in Baltimore. After seeing the success of his brother William Henry Leonard Poe publishing a piece titled The Pirate in Baltimore's North American, Poe tried his hand at the short story form. Though he considered poetry his first passion, short stories were a more profitable venture for writers. By 1833, he wrote Tales From the Folio Club, a set of 11 short stories. The writer led a financially difficult life and suffered heavily from alcoholism. On October 3, 1849, Poe was discovered stumbling through the streets disoriented and confused. He was brought to the Washington Medical College where he later died on October 7, 1849, at the age of 40. To this day, the cause of Poe's death has not been confirmed, as it seems to have occurred within mysterious circumstances. Alcoholism, rabies, cholera, and epilepsy are just a few probable causes that have been proposed. He is buried at Westminster Hall in Baltimore on West Fayette and North Greene street. Since 1949, a mysterious figure has left a bottle of cognac and roses at the poet's sumptuous grave marker every year on his birthday. Poe's legacy still haunts the Baltimore region. Visit The Horse You Came In On Saloon in Fells Point, where rumor has it the writer had his last drink. You may even make contact with a ghost that allegedly haunts the upper floor (whose staff has playfully named Edgar). 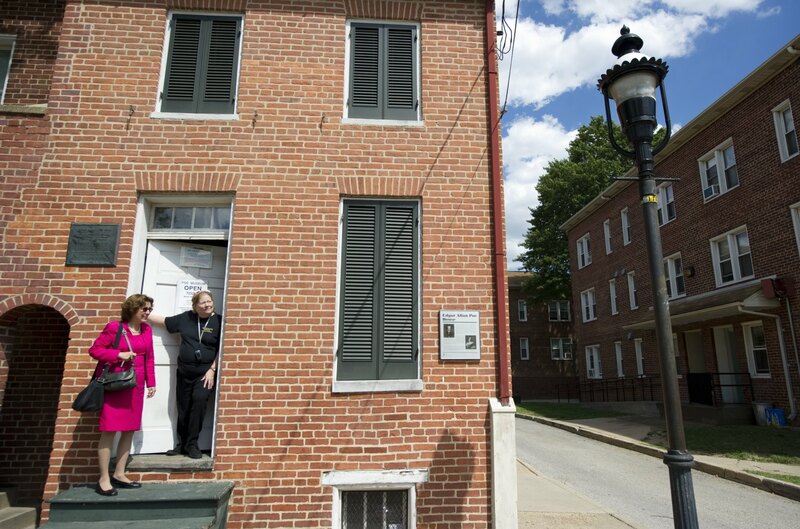 Or visit the famous Edgar Allan Poe House and Museum, where he lived with his Aunt Maria Clemm and her daughter Virginia, whom Poe would marry in the 1830s. The house was made a historic landmark in 1972, and it is open to the public. View their hours and directions here. Edgar Allan Poe is emblematic of America's rich literary tradition, as well as a special figure in the Maryland region. Who are some other Marylanders we should cover? Tell us in the comments below! Last time in "Our Marylanders Then," we featured the legendary Babe Ruth! Learn more about this other famous Marylander here! Head to Maryland's own Our Community Now homepage for more local news and features that bring us all together!